Another fine day, after a restless night listening to the trains shunting outside the hotel. 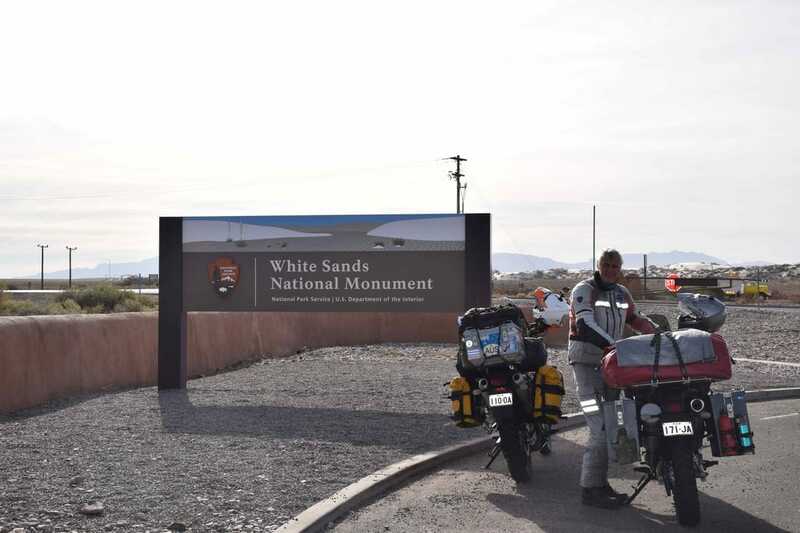 From Lordsburg we joined the Freeway to Las Cruces, and then back onto the I70 up to White Sands National Monument. Just before we arrived there, there is a border control stop that all north bound traffic has to go through. Just a passport check if you are not a US citizen, and we had a chat to the homeland security guards. 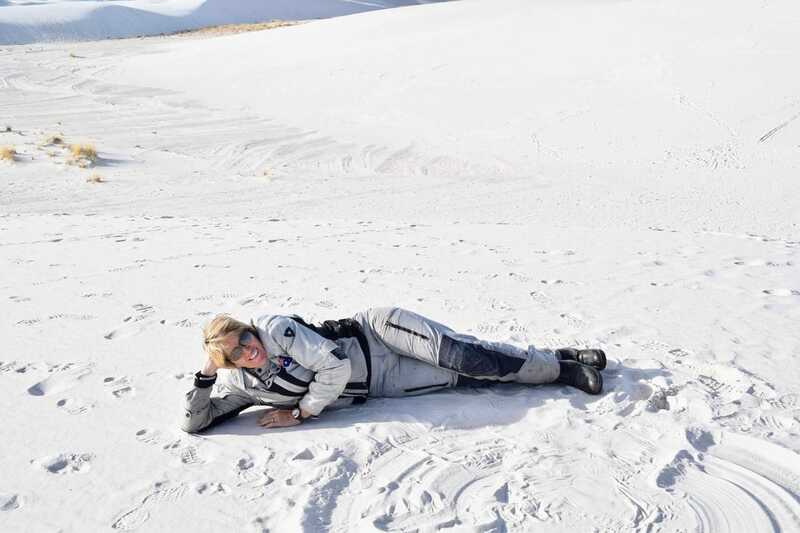 White Sands was an interesting visit, a section of the desert where all the water from rain and snowmelt flows down into a lake, then evaporates, leaving just the gypsum, (fine white sand), behind. Riding through the back of the park, the whole area is pure white, like snow. Just up the road from there is Alarmogordo, where we booked into a room for the night. 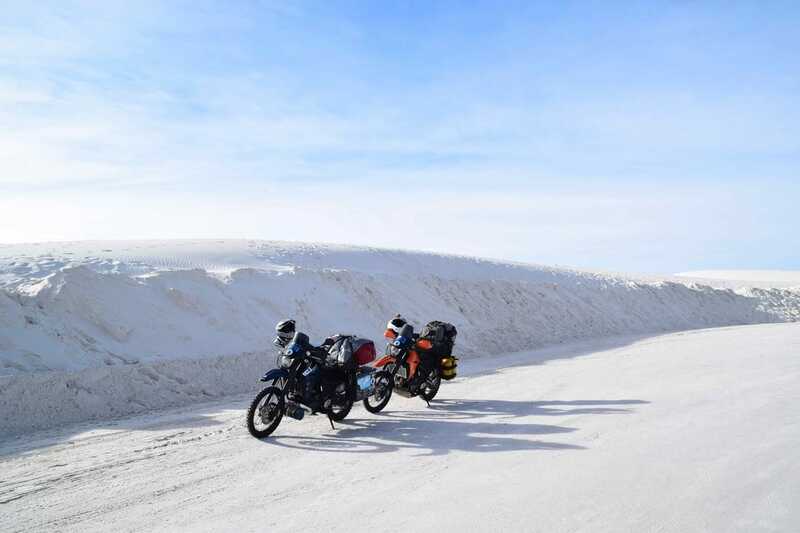 Looks like snow, but is really fine white sand. Another short day, from Alarmogordo we rode up through the mountains to Ruidoso, (6,500 ft above sea level), where there was snow laying around in the shade. 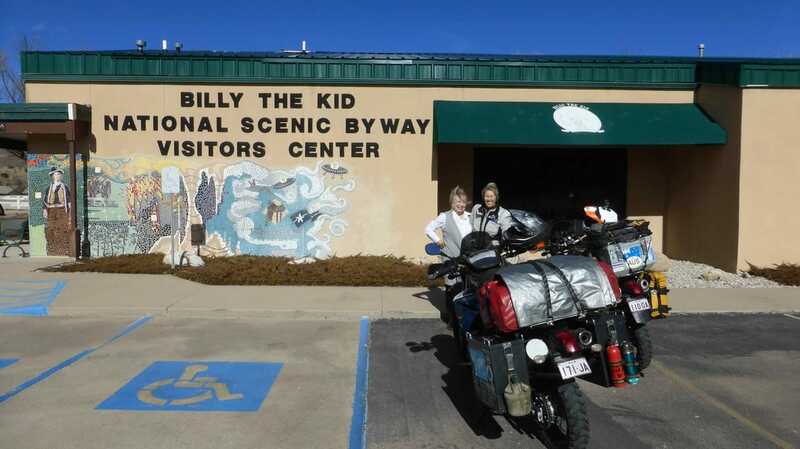 A stop at the Billy the Kid National Scenic Byway Visitor Centre was also interesting, and the guide there suggested we call into Lincoln, about 10 miles off our path, the town where young Billy grew up. Not a lot there now, just the one street through the middle of a little village and a couple of dozen houses. From there we headed to Roswell, a little warmer, as we had dropped down out of the mountains now. 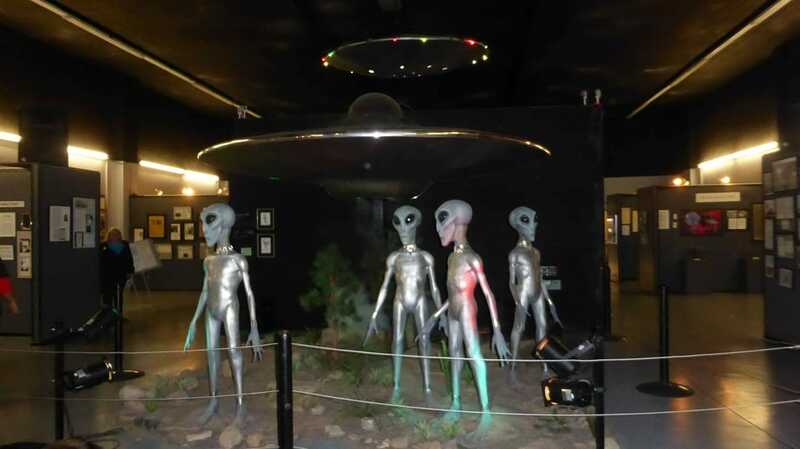 The UFO museum was worth a visit, with all the info on the “Roswell Incident” in 1947. Really makes you think, reading all the accounts of what people saw, and the army and air force cover up. It gets dark here around 5.00 o’clock, and as we weren’t going to get far before then, found a room for the night. Pizza for tea, and a fairly early night. We weren’t making much headway getting to Corpus Christie, so tomorrow we would try to put some miles under our wheels. 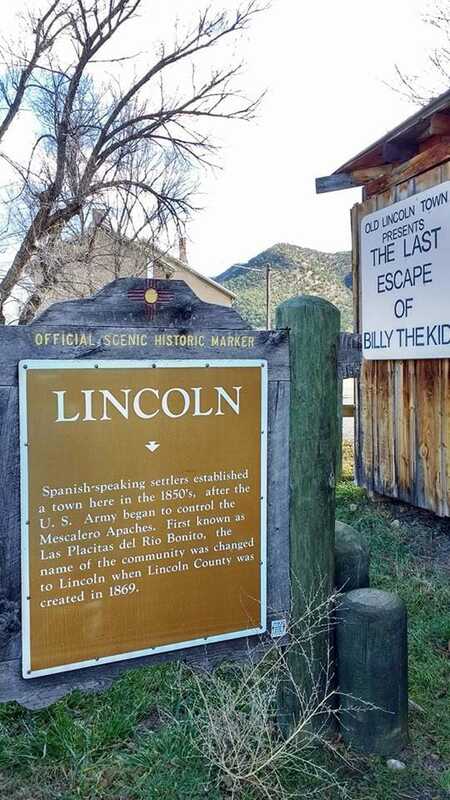 At Lincoln, the little town where William Bonney grew up. Just a few houses and a cafe now, not much at all. 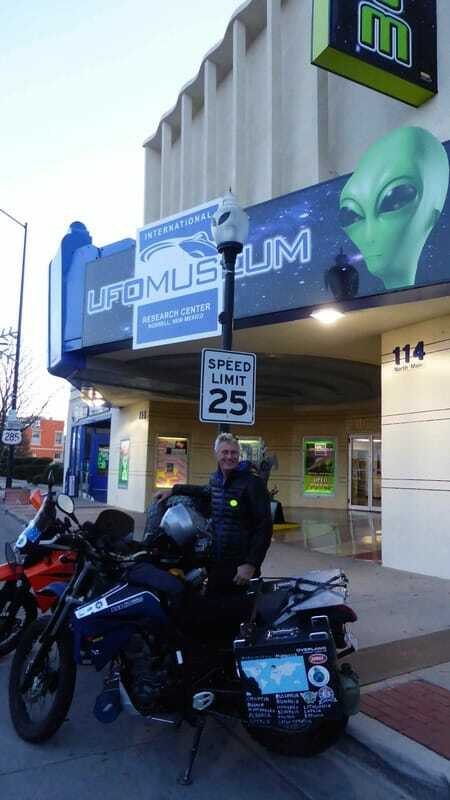 The UFO Museum in Roswell, touristy, but thought provoking, too many things happened to just dismiss it. 1 degree C when we woke up this morning, cold riding until about midday, over flat desert country, with boring straight roads, but good bitumen. 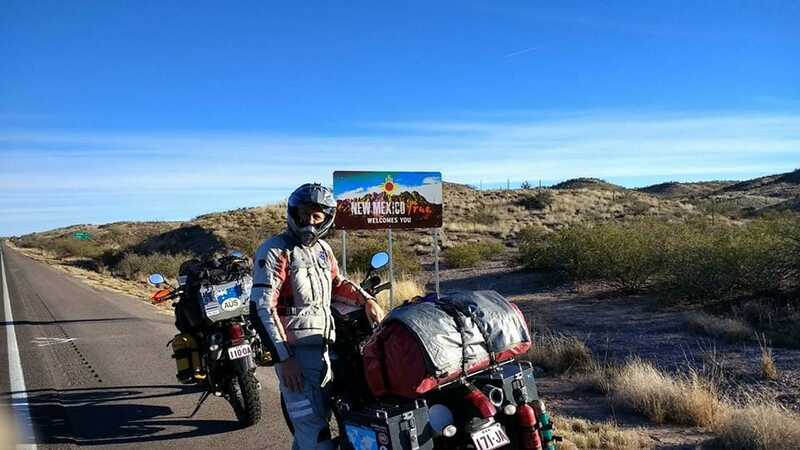 Lost 1 hour when we crossed into Texas, and then some more time leaving Brownfield where we got lost, so that didn’t help our cause of covering some ground. We made it as far as Big Spring, and found a hotel for the night, thought about camping, but it was too cold.